So when does Sean Hannity interview the Head of the CDC and tell him that he’s wrong and that the President is letting the Ebola come in, mutate and kill us all like he did in 2014? The Ebola outbreak that began in the Democratic Republic of Congo last year has killed close to 500 people—nearly 100 of whom are children. The crisis is showing no signs of slowing down; as CNN’s Rob Picheta reports, the number of new cases spiked last month, jumping from 20 to 40 reported infections per week. More than 785 people are believed to have contracted Ebola over the past six months, with 731 of the cases confirmed, according to a statement from Save the Children. The virus is often deadly—it has a fatality rate of around 50 percent—and to date, 484 people in the DRC have lost their lives. Ninety-seven children are among the dead, 65 of whom were younger than five years old. The outbreak has not approached the disastrous mortality rates of the 2014-2016 Ebola crisis, which killed more than 11,000 people in West Africa, but it is the second-largest outbreak of the virus in history. Kerr added that efforts to stamp out the virus are being hampered by political instability in the DRC. North Kivu and Ituri, the two provinces affected by the outbreak, are wracked by violent conflicts, making it impossible for health workers to access certain communities and putting their own lives at risk. 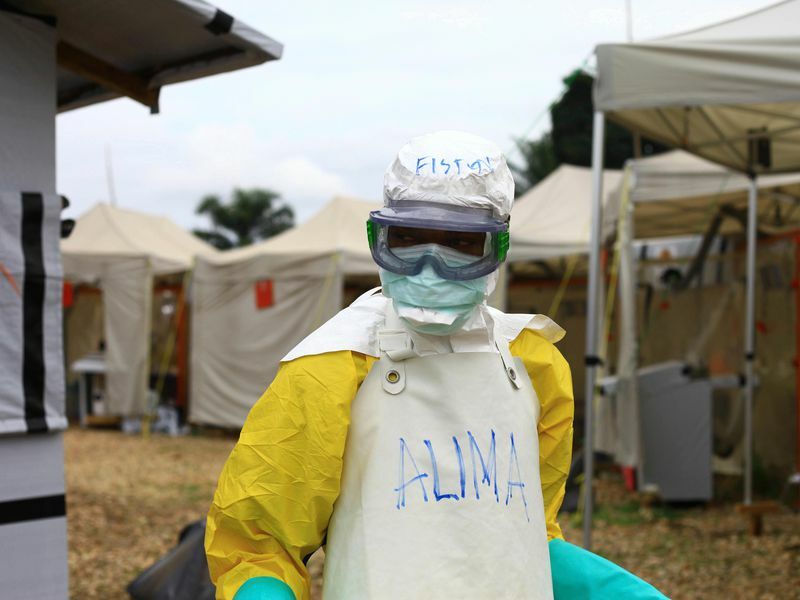 The dangerous situation has prompted the Centers for Disease Control and Prevention to pull its skilled Ebola experts from the outbreak zone. Health workers still on the ground have also been met with hostility and resistance due to widespread misconceptions about Ebola. The outbreak is currently contained within the DRC, but Save the Children notes that there is a real threat of the disease spilling over into neighboring Uganda, where “refugees from the DRC continue to arrive daily.” Amid this worrying situation, hope is resting on an investigational vaccine, rVSV-ZEBOV, which has not yet been licensed but has been shown to be safe and effective, according to the WHO. STAT’s Helen Branswell reported late last month that experts think they have enough of the vaccine to contain the outbreak; as of that time, the 64,000 doses of the vaccine had been administered, with an efficacy rate of more than 90 percent. This relatively good news, however, has been tempered by recent reports that women in the DRC are being asked to provide sexual favors in exchange for the vaccine. The Ebola crisis has also rendered children particularly vulnerable to exploitation. This entry was posted in Uncategorized and tagged Dave Loves Science, Disease, Ebola by FTB1(SS). Bookmark the permalink.